Arsenal were denied a first european final since 2006 after a 1-0 defeat at the hands of atletico madrid at estadio metropolitano. Atletico went in to the second leg as favorites after the late griezmann equalizer in london a week prior. The opening exchanges in madrid were rather cagey, both sides not wanting to concede the opening goal. Within twenty-seven minutes laurent koscielny was stretchered off due to his ongoing achilles worry. The medical report came back that Koscielny had ruptured his achilles tendon. Calum Chambers entered the field of play in replace for Laurent, when Koscielny left the field got taken off a sense of leadership was drained from the team. After the injury to Koscielny Atletico Madrid seemed to gain some self belief and therefore decided to attack the arsenal goal and cause worry to the gunners back line. In the thirty-sixth minute Koke created a chance from nothing. The chance came from the ball bobbing around the Arsenal penalty area until the ball dropped to Koke’s left boot he then volleyed the ball just inches wide of David Ospina’s left hand post. Pressure continued to be piled on the arsenal goal by the the Madrid team searching for the opening goal of the game. Griezmann formed a chance on the Arsenal target. The chance arose from a clipped free-kick into Griezmann who controlled the ball into a turn and pulled a shot off, the shot crept just wide of the goal. In the forty-seventh minute Diego Costa took the lead for Atleti. Griezmann created the chance by finding Costa through on goal where Diego Costa calmly took the ball into his path and fired past David Ospina, who arguably went to ground to early. The main mistake was Hector Bellerin being out of his right-back position after attempting to come back from being on the attack for Arsenal. The referee blew. the whistle to call the sides in for the break just moments later. Chambers slide in and block the shot. 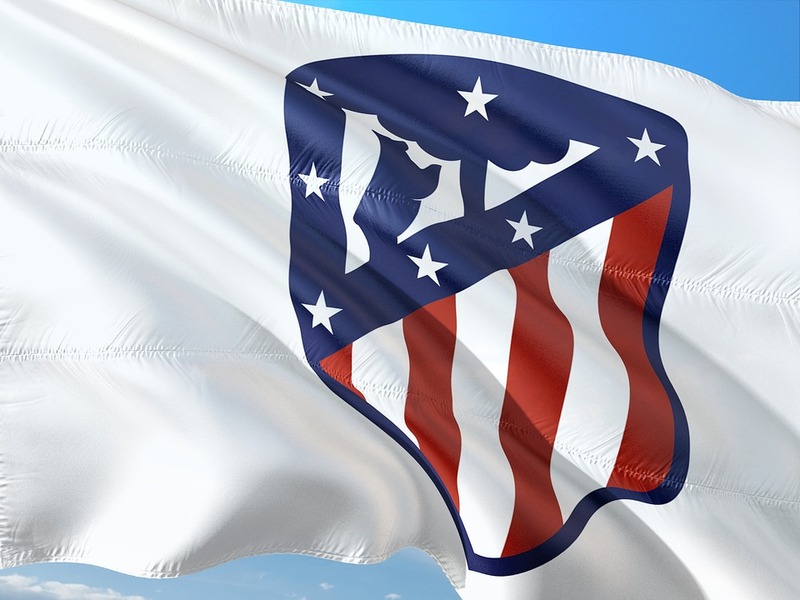 The game ended 1-0 with Atletico Madrid going through to the Lyon final where they will face Marseille. Arsenal struggled to create many chances and therefore couldn’t get the vital away goal. Click here for what the fans had to say. Click here for the managers reaction to his last European game with Arsenal. Arsenal went into the game at old Trafford with one eye on the Europa league semi-final second leg on thursday in Madrid against Atletico. The gunners fielded their youngest premier league side since 2011 when man Utd beat arsenal 8-2 at old Trafford. Players like reiss nelson, ainsley maitland-Nile’s and Konstantinos mavrapanos where all included in the starting line up. United however started a very strong team with the likes of alexis Sanchez, romelu Lukaku and Jesse lingard to name just a few started. The encounter started very evenly with both sides showing they can attack. United took the lead through Paul pogba on the eleventh minute. The goal came after Antonio Valencia crossed in towards Alexis Sanchez who headed against the post via hector bellerins shin, the ball then popped up to Paul pogba who volleyed into the top corner of all empty net from barely six yards out. Arsenal felt hard done by as the young side had made a positive start to the game. The remainder of the second half contained not much action bar a henrik mkhitaryan miss that whistled inches wide of his target. Mkhitaryan equalised after five second half minutes from a terrific strike into David de geas right hand corner. United pressured Arsenal’s goal trying to find the decisive goal which would put them into a leading position. That goal came one minute into injury time from a Maroune fellaini header to break arsenal hearts. The goal came from an Ashley young cross to fellaini who headed united in front. Man Utd saw the game out however arsenal shouldn’t feel disheartened as the young side put up a fight against United experience. click here for what a fan had to say. click here for the managers words. The europa league semi-final had an electric atmosphere with both crowds buzzing for a potential step into the europa league final. Both sides came into the game on the back of some patchy European form. Arsenal drew 2-2 in Russia to put the gunners into the semis, nevertheless the score line was flattering with the gunners 2-0 down with 15 minutes to go. Atletico went through holding a 2-0 first leg lead over sporting by winning 2-1. The fixture was very interesting for the neutral. The encounter began with the home side on the front foot with a lot of pace on the attack with welbeck and lacazette in particular. Within the opening ten minutes lacazette squandered a wonderful chance by hitting the post with a virtually open goal, all be it outside the box. The opening ten minutes also included a red card to vrsajliko after two yellow card offences. Atletico were infuriated as they thought vrsaljiko had no chance before getting sent for an early bath. Amongst the cafuffle manager Diego simione voiced his opinion maybe a little to clearly as he also got sent off and went up to watch the game from the stands. The first half consisted of persistent arsenal pressure with no end product. Main chances fell to lacazette and Danny welbeck neither of who could finish their chances. The second half resumed a similar style of play as the first half with Arsenal’s persistence finally paying off with a lacazette header that bounced into the ground and into the back of jan oblaks net which sent the emirates into a frenzy. The goal was very important in terms of the tie as arsenal going to Madrid with a lead and having not conceded and away goal was a positive for the gunners. Arsenal continued to pile pressure and push the Atletico defence further and further back. After bringing on two defensive minded players in Stefan Savic and gabi Atletico got back in the game. Antoine griezemann was in a foot race with Laurent koscielny before koscielny decided a poor attempted clearance and therefore gave griezemann a clear one-on-one chance with David Ospina who denied him amazingly only to see griezemann stab rebound into the back of the net via mustafis thigh. The games tempo died down after the late equaliser so the game finished 1-1 finely poised for the second leg in Madrid next week. click here for a fans review of the performance. click here for what the manager had to say. Arsenal faced west ham for the first game since arsene wenger’s announcement he would step down from the managerial jobs at the end of the 2017/18 season. The sold out emirates got behind the gaffer as ‘one arsene wenger’ chants rang out throughout the ground. Outside the ground there was a buzz around the place and a party atmosphere. The game started with arsenal playing a midfield based possession game against the hammers counter-attack style of play. The first half wasnt too lively with neither side having clear cut chances, danny welbeck’s header inches wide from the corner was the first time the crowd got off their feet in the first forty-five. The second half sparked into life with a monreal volley opening the scoring minutes after the break. The goal came from a granit xhaka left hand sided outswinging corner where nacho monreal managed to escape his mark and fire through the crowd from the penalty spot. After a stint of arsenal pressure west-ham grew into the game attacking mainly down arsenal’s left hand side. Marko arnautovic equalled the scoring in the sixty-fourth minute with a powerful shot into the corner of petr cech’s net. The goal came to much surprise as the ball was bobbing around the edge of arsenal’s defensive area when the ball fell kindly to arnautovic’s left foot when he fired across to level the hammers and give the travelling fans something to shout about. West ham seemed to be holding out for an away point at the emirates before a declan rice/joe hart mistake gifted arsenal the lead with barely ten minutes to go. Aaron ramsey aimed to provide a cross into the area which was a rather tame effort which could have been easily dealt with by declan rice however, he thought the goalkeeper joe hart would claim the ball neither took charge and to west-ham and david moyes’s dismay the ball crept into the far corner of the net. Alex lacazette added a third by firing past joe hart from a tight angle via an aaron cresswell deflection. Lacazette rubbed salt in the west-ham wounds to make it four-one. He finished the chance with a curling effort into the far corner. Arsenal deservedly won the game however the scoreline was flattering a great win to appreciate arsene wenger’s reign as manager. click here for the managers reason for his exit. click here for a fans perspective on the match. Arsenal continued their poor away form at st james’s with a two-one loss over newcastle after taking the lead early in the first half. The gunners defeat caused much unrest and tension within the fan group many wanting wenger to leave after the woeful performance. Click here for a fan’s perspective on the torrid arsenal performance. The match had a sense of arsenal playing for pride and nothing else, even though newcastle needed a win to reach the precious forty point mark. The attitude from arsenal was shown in the team selection with six changes from (thursday’s europa league game against CSKA Moscow) including eighteen year-old joe willock, the youngster had a nightmare consistently losing the ball and squandering a vital chance to kill the game off when arsenal were leading. The gunners started the game on the front foot with pierre-emerick aubameyang and alex lacazette linking up very well in their first start together. In the fourteenth minute that exact combination payed off with lacazette finishing a terrific cross from aubameyang. Mustafi (who had a shambles of a game) made a terrific 40-yard ping in towards aubameyang who bought the ball down beautifully then pull the ball across the goal for lacazette to slide in and score his eleventh premier league of the season. The game seemed to be going well with arsenal keeping good possession and newcastle not getting a sniff in until ayoze perez equalised with a quality finish fifteen minutes after the gunners took the lead. The goal was a carbon copy of the shane long’s goal last week against the reds. Ayoze perez set the ball out wide to deandre yedlin then span inside the area where yedlin returned the ball via a cross where perez nipped in front of his marker (mustafi) and knocked the ball in with the outside of his boot inside cech near post where he could have arguably saved the attempt. The sides went into the interval at 1-1. Newcastle came out for the second half on the front foot pressuring the defence. The magpies took the lead through matt ritchie. A jonjo shelvey header and an ayoze perez flick put matt ritchie one-on-one with petr cech (the position left back monreal should have been covering) he then placed the ball into the net and ran off to celebrate with the gallowgate end faithful and put newcastle in touching distance with premier league safety for next season. The shot from matt ritchie was a rather tame one and a shot petr cech should have saved (he had a shocker at st james’s). The game petered out after some mild late arsenal pressure however, nothing came of it and st james’s erupted at the final whistle. 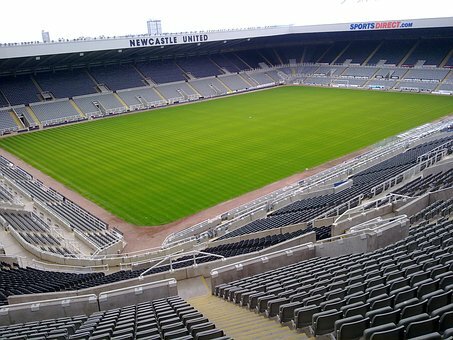 Newcastle won the game 2-1. Arsenal progressed to the europa league semi-finals with a less than convincing draw in moscow. After being two goals down the gunners managed to pull it back with good goals from Danny Welbeck and Aaron Ramsey. Many arsenal fans were wondering how the reds were going to approach the game, as we went into the game holding a four-one lead from the first leg at the emirates. Some fans thought the best way to approach the game was to attack Moscow and try to kill the game off by getting an away goal, other fans believe that the side should have consumed the pressure of the home side and break on the counter attack. Arsenal started the game not playing defensively or playing offensively either, so that caused many holes in the midfield and defence. Both sides played a very slow brand of football to begin with neither side seemed to have enough confidence to draw first blood. CSKA Moscow opened the scoring and with a poachers finish from Fyodor Chalov. A terrific cross from Konstantin Kuchayev in towards Kirill Nababkin who powerfully headed towards goal to see his header saved fantastically by Petr Cech who could only parry the ball into Fyodor Chalov’s path who fired home to take the side from moscow into the lead and give them a glimpse of a chance to get them back into the tie. Cska went in to the break leading 1-0 on the night however, losing 4-2 on aggregate and still a long way back.. Both sides came out after the interval and the Moscow pressure remused attacking the arsenal goal and putting pressure on petr cech and the shakey arsenal back four. In the fiftieth minute Alexandr golovkin picked up the ball thirty-five yards from goal and had a decent shot towards goal but one chec would have wanted to save, so he must have been gutted as he saw the Golovin shot bounce off his palms and into the path of Kirill Nababkin who consequently slotted the ball into the net via Petr Cech’s legs. As the ball went in a sense of hope flew through the stadium and Moscow were back in the tie with just a one goal deposit. Arsenal managed to regain the control and the pace of the game and created a number of opportunities resulting in the best period of the game from the londoners. With fifteen minutes to go danny welbeck played a great one-two with Mohamed Elneny and found himself through on goal and confidently slotted the ball past Igor Akinfeev to inevitably put the tie to bed and send the gunners through to the semi’s. The game seemed to die out when elneny played a terrific ball through to Aaron ramsey who sublimely chipped the goalkeeper and equalised on the night. Arsenal progressed to the semi-finals after (in the end) comfortably turning CSKA Moscow over. Click here for a fans perspective on the game.